To make the interiors of your commercial or residential places more eye catchy, you need proper and bright full LED lights to have that woo factor which is admired by all your near and dears. 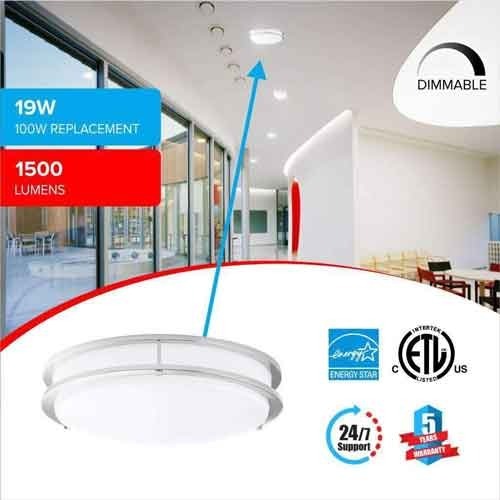 To make the surroundings more enhanced, you can use an 11’’ dimmable LED flush mount fixture that comes in square shape design giving a tough competition to the traditional incandescent surface mount fixtures. * This 15W 11’’ dimmable LED flush mount fixture comes in square shape imparting an attractive and elegant look to your home or office interiors. 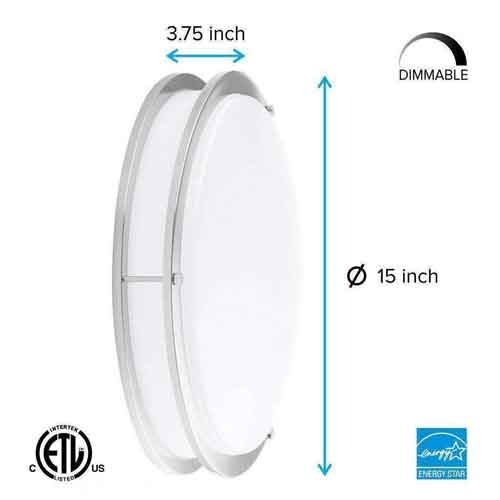 * You can replace this 15w LED flush mount with a traditional incandescent surface mount fixture to in an energy efficient way, also the lumen output of these 11’’ dimmable LED flush mount fixture is more than 1050 lumens with color temperature of 4000K. * These flush mount fixtures are fully compatible with most of the available standard dimmers and also features latest-in ceramic based DOB light engine module that reduces the overall cost of lighting with high operational efficiency. * These square Brushed Nickel looks more elegant and contemporary while fixed on the ceilings at any place.